With recreational cannabis use legal in nine states (and soon a 10th, Michigan), the District of Columbia, and in Canada, the cannabis industry is steadily growing. But to grow even more quickly, cannabis firms will need to push their branding and advertising to reach beyond the core demographic of stoners and hippies. There’s a huge opportunity for cannabis firms to more effectively market to women. Here’s what you should know. Why are women important cannabis consumers? 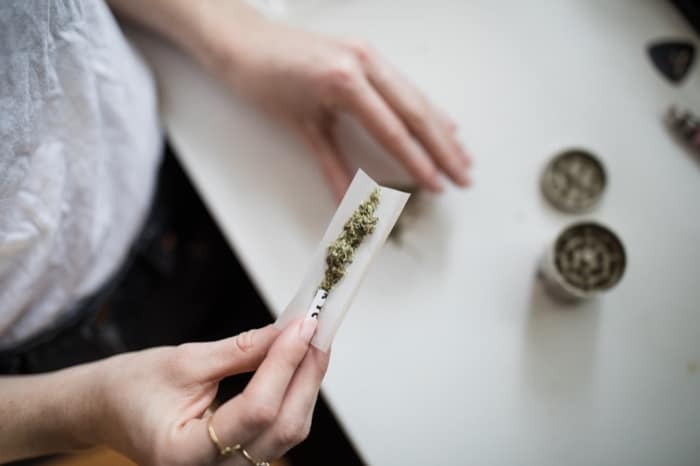 The rapid rise of female cannabis users leaves a huge opportunity for cannabis business owners to connect with a brand new target market. Women are responsible for 70-80% of consumer spending in the US. They also influence a huge number of purchases. In fact, a report on cannabis use found that 59% of the respondents were women versus 41% male. Women are one of the fastest growing segments of cannabis users. Chart courtesy of the Cannabis Consumers Coalition. Despite these numbers, most existing branding, including logos for cannabis businesses, is still geared toward men. With strain names like Durban Poison and Green Crack, cannabis firms will fight an uphill battle to attract women customers. 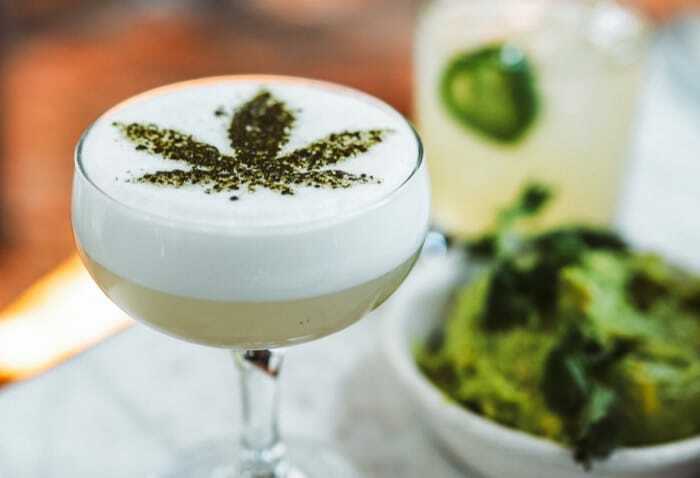 Smart firms are beginning to understand that cannabis products are targeted to two different markets: medicinal users and recreational users. Two contrasting examples – Incredibles, one of the largest edibles manufacturers, uses bold, playful colors on their packaging which may be more resonant with recreational consumers, whereas Slactavis Medicated Syrup looks more like a pharmaceutical product in its packaging and branding, with strong emphasis on the pain relief afforded by the product. Your brand identity, including your company name, your logo design, and the design of your cannabis product packaging, affects your ability to attract customers for your products. Medical marijuana can play an especially powerful role in catering to women interested in the health and wellness niche. Women are looking for alternative non-toxic, plant-based, holistic remedies for health and cannabis falls into all of those categories. Activist and entrepreneur Jamie Lewis told High Times that women seek out cannabis to treat a substantial number of female health issues, including menopause, menstrual cramps, anorexia, breast cancer, and PMS. If you are selling to women medicinal users, communicate how cannabis helps with health issues by using clear, verified information. As the stigma fades, more women are starting to use cannabis for recreational purposes. Businesses have noticed, and they offer products specifically tailored for women. Now there are products emerging that women are saying ‘this is more tailored to me .’ It’s not unlike in wine and spirits where you see some retailers creating wine that’s marketed toward women specifically as well. By offering information on the specific plant strain, intensity, taste, smell, and benefits, businesses can easily target individual users seeking out a more specific experience or benefit. From sprays, creams, bath salts, tinctures, teas, all the way down to chocolates, there truly is something for everyone. What does the average female cannabis user want? Most women prefer sweeter tasting cannabis strains. Maybe that’s because women have a better sense of taste than men, and have a high percentage of “super tasters” (people who experience a profoundly intense sense of taste). Whatever the reason, female cannabis users tend to seek out cannabis that tastes sweet. Many of the strains women prefer are noted for their fruity, sweet flavors. Additionally, women are looking to treat specific conditions. For example, women are twice as likely to suffer from anxiety than men. It’s no wonder that CBD options are popular with women. Cannabis that offers women a euphoric, happy, or uplifting experience are also more widely used. 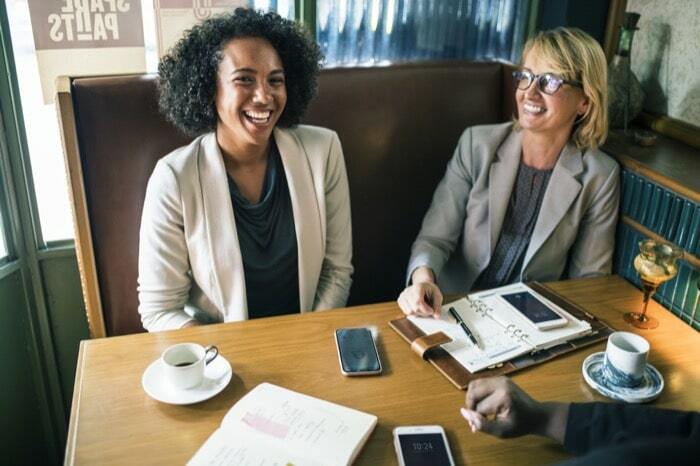 If you want to be sure that women will feel comfortable and eager to try your cannabis brand, make sure that your business clearly labels whether a cannabis varietal has any of these female-friendly qualities. Branding can help you catch the eye and attention of women consumers. 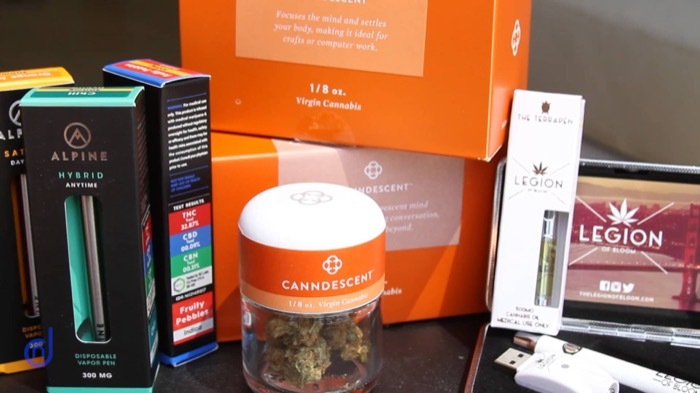 With cannabis sales targeted to hit $40 billion in 2021, the competition is increasing and consumers are able to choose from many different products. 48% of consumers report that their first purchase or experience is the most critical one in deciding if they will develop loyalty to that particular brand. With thousands of beauty products available online and on store shelves, having an eye-catching, professionally designed logo and packaging design is a key way to make a good first impression. Branding has gone from being an afterthought to becoming a central aspect of the competitive strategy among cannabis companies. To learn more about branding your cannabis business and products, we recommend you study what color says about your business, branding lessons you can learn from the world’s best brands, and the 20 important branding statistics every entrepreneur and marketer should know. But you won’t attract women consumers solely through good branding. Image courtesy of the Direct Cannabis Network. Product packaging design is a crucial element of any product’s success. Your product packaging should be a crucial part of your branding strategy as you market your cannabis product to women. Contrary to gender stereotypes, studies show that pink is low on the scale of colors. Consider blue, green, red, and purple instead. Studies have found that women tend to prefer packages with curved or smooth shapes that are easy to handle and store. More importantly is how the packaging works: is it easy to get the product out? If the packaging is a dispenser, is it easy to control and does it dispense the right amount? The last consideration is even more crucial with cannabis packaging as you want to ensure the doses are delivered accurately. You should aim to keep the text on your packaging simple and to the point. There are many regulatory requirements you need to consider as well, and these will inevitably take up space on the package. Above all, keep the other text to a minimum and let your marketing and other sales collateral do the talking. For more on effective product packaging, read Biggest Product Packaging Design Trends in 2018, Telling Your Brand Story Through Packaging Design: These 3 Businesses Are Doing It Right, and 4 Psychology-Based Design Tips For Eye-Catching Packaging Design. As women discover the health and wellness benefits of cannabis, their influence on sales is set to grow exponentially. Are your cannabis branding and marketing strategies designed to reach these important women consumers?